The Procharge 100 digital refrigerant charging scale is a welcome addition to JAVAC’s range of refrigerant service tools. An upgrade on the current best selling Procharge unit. This unit is highly accurate with 5 gram resolution and an increased weighing capacity of 100kg. The compact platform is 223mm x 223mm, easily removed from the carry case for use, also featuring an easy to read LCD display. 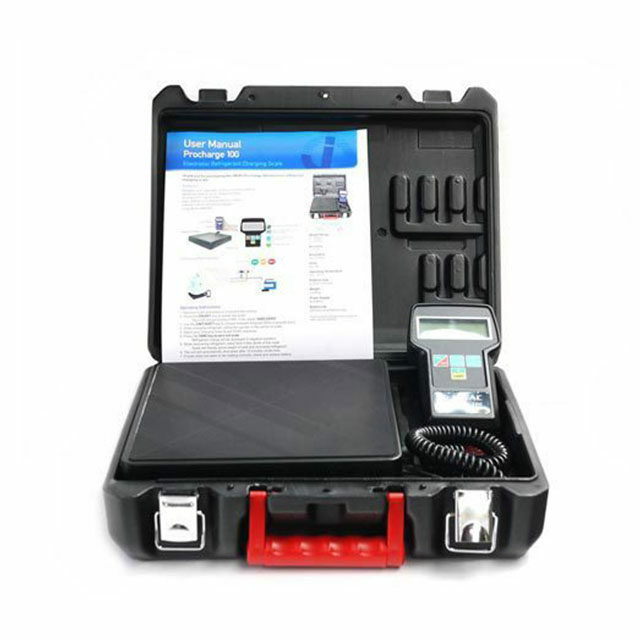 A portable and light weight unit, the Procharge 100 can be used while placed on a flat surface for weighing refrigerant. The weighing scale is compact, only 223mm x 223mm and the LCD display is easy to read. This unit also includes a memory function, holding the last reading until cleared. Even when the unit automatically shuts down after 10 minutes of non use, the last reading is still stored in memory. 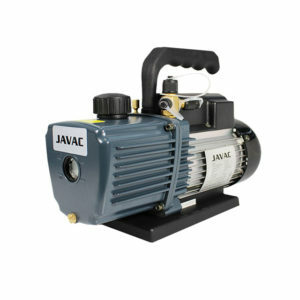 Commonly used for refrigerant charging, recovery and weighing of commercial and automotive air conditioning systems. The Procharge 100 is highly accurate with 5 gram resolution and an increased weighing capacity of 100kg. An added feature on this unit includes a memory function. After 10 minutes of no use, the unit will automatically shut down to conserve power, but when the unit is turned back on; the last reading is displayed.